So close, I can feel it! I'm Bored. Time to Make Some Changes. Alyssa of Hybrid Photography Rocks! First post of 2010 - Better late than never! 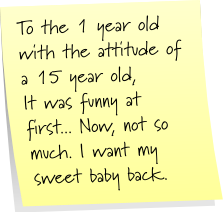 Post It Note Tuesday: I've Got Some Things to Say!
. 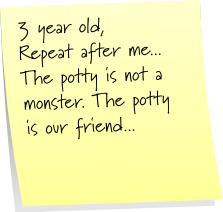 Click the note below to link up and play along with SupahMommy ! All these notes could be mine today....really! 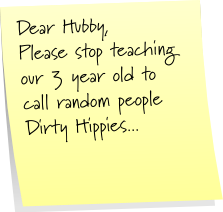 Too funny about the hippies! Stopping by from SITS! 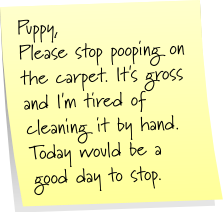 Love your post-its! You sound like my kind of gal! You gave me a good smile while reading them! Stop by sometime...I am your newest follower! DIRTY HIPPIE oh ha ha ha. I have to laugh..I grew up in Boulder, Colorado. Never heard the phrase dirty hippie before.... Visiting from SITS, enjoy your day! 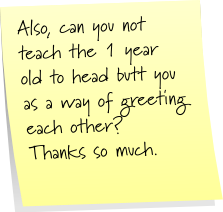 I would so laugh at a 3 year old saying that! these are great. I have to say though I would chuckle at the dirty hippy. hmmm..I think I may be a dirty hippy....or at least a hippy. 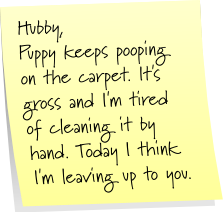 LOVE your post its! I laughed at every single one! These were all cute and funny!!! My husband says things all the time that the kids go and repeat and he thinks it's hilarious. Like the other day we were driving and someone cut us off and my hubby yelled, "What a douchebag"...the next day the kids were fighting over the broom and one of them called the other a "juice bag". It was kind of funny but not really, know what I mean? You better not come to S.F. because there would be fat too much temptation to call people dirty hippies. Classic! Yeah, not such a good thing for little guy to say around these parts since there really are quite a few dirty hippies around here! !